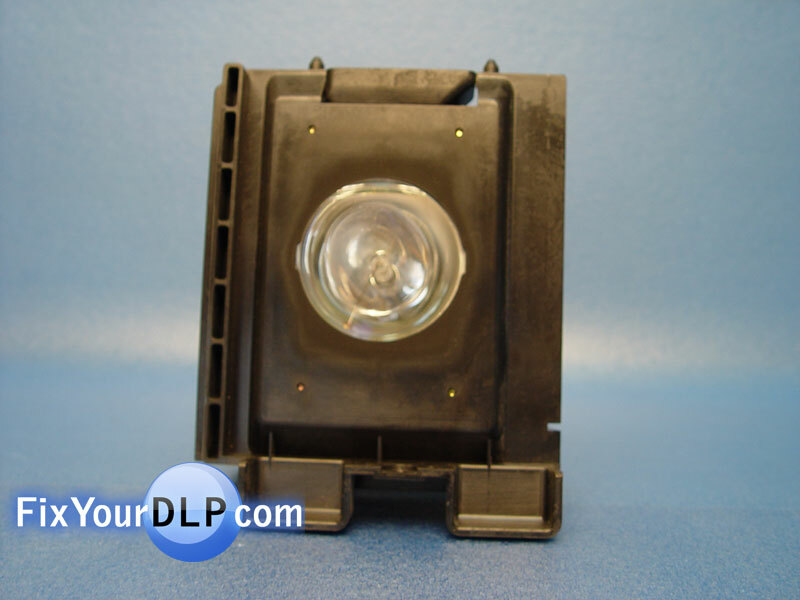 For Part Number: Samsung DLP Lamp BP96-01099A, (Unsealed replacement lamp for DLP, SMALL, with vents). 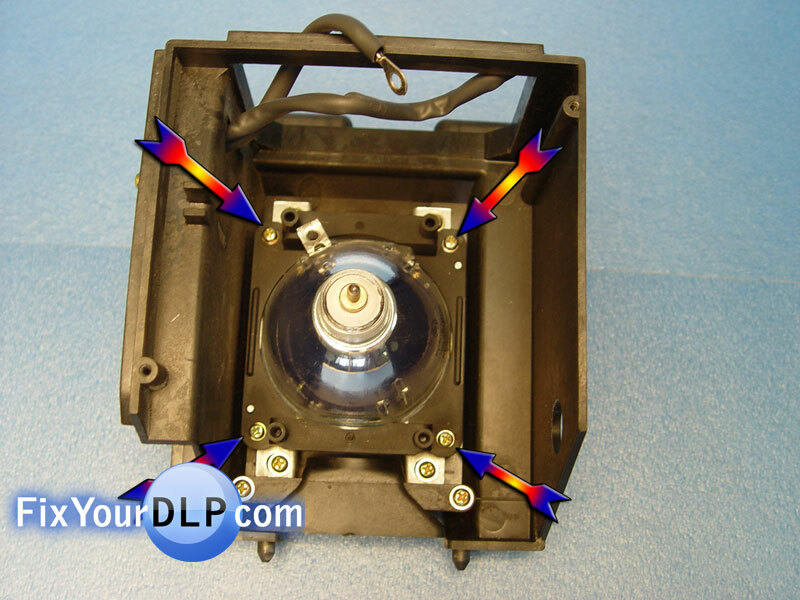 Compatible TV Models: HLR5067w, HLR6156W, HLR6768WX, HLR7178W, HLR5656W, HLR6767W, HLR6768WX/XAA, HLR7178WX/XAA, HLR5678WX/XAA, HLR6768W. Tools Required: 1 Phililps screwdriver, 1 Pair of Pliers, & A new lamp. 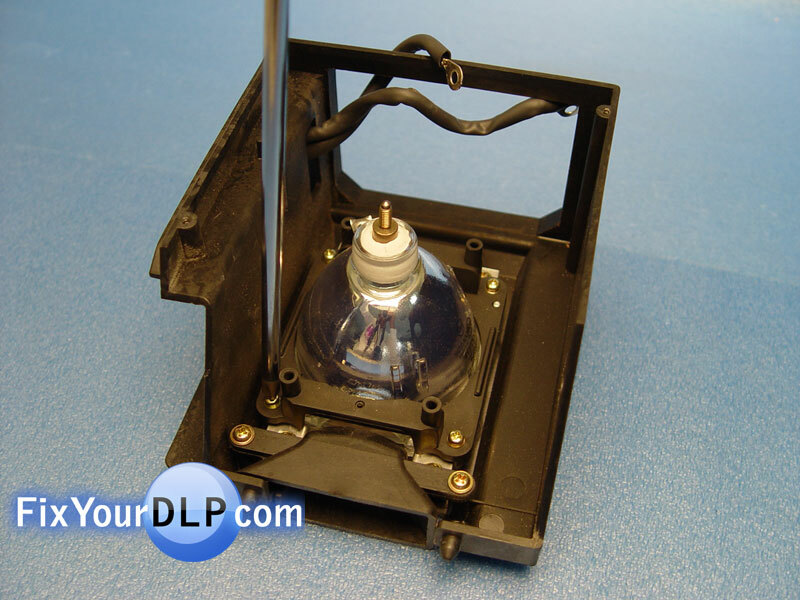 Abstract: This guide is being published to show how easy it is to replace your original SAMSUNG BP96-01099A Lamp. 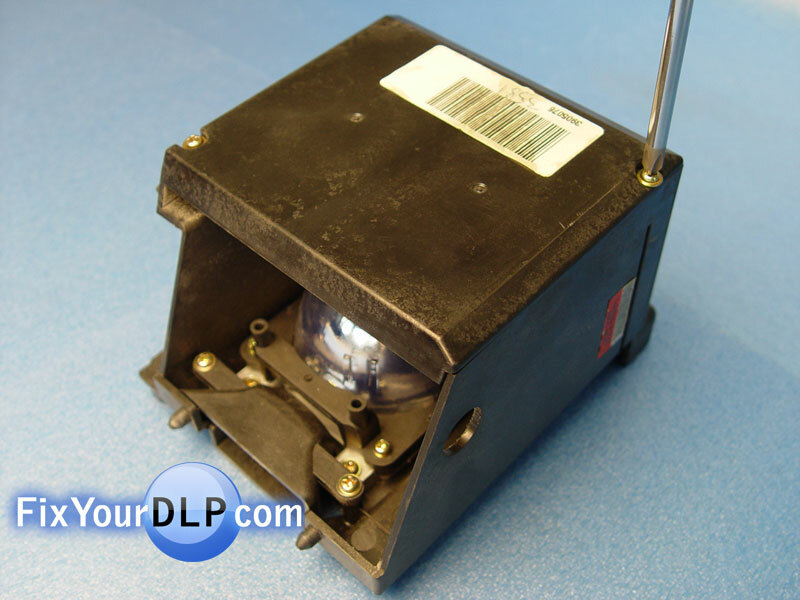 1.- There are two screws at the top of the enclosure holding the lamp cover. 2.- Uninstall them using a Philips screwdriver. 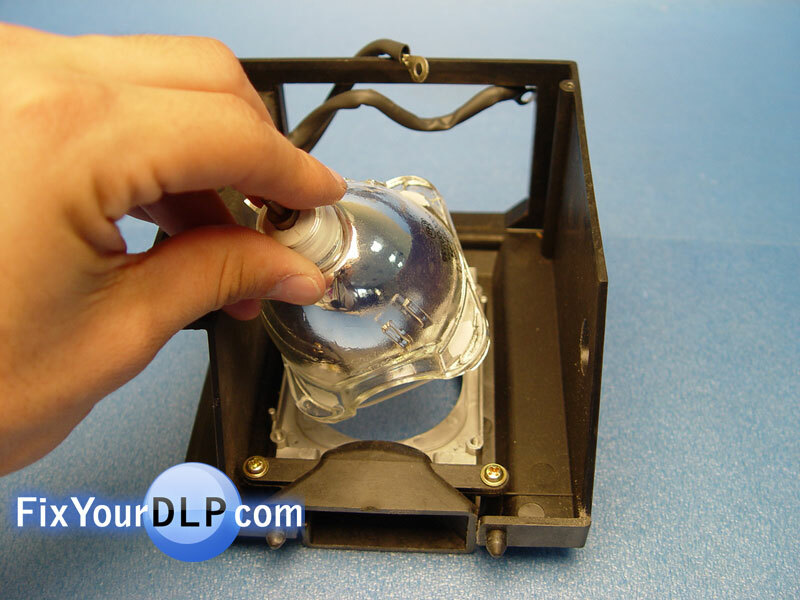 3.- Disconnect the cable placed at the top of the lamp, using a pair of pliers to loose the nut. 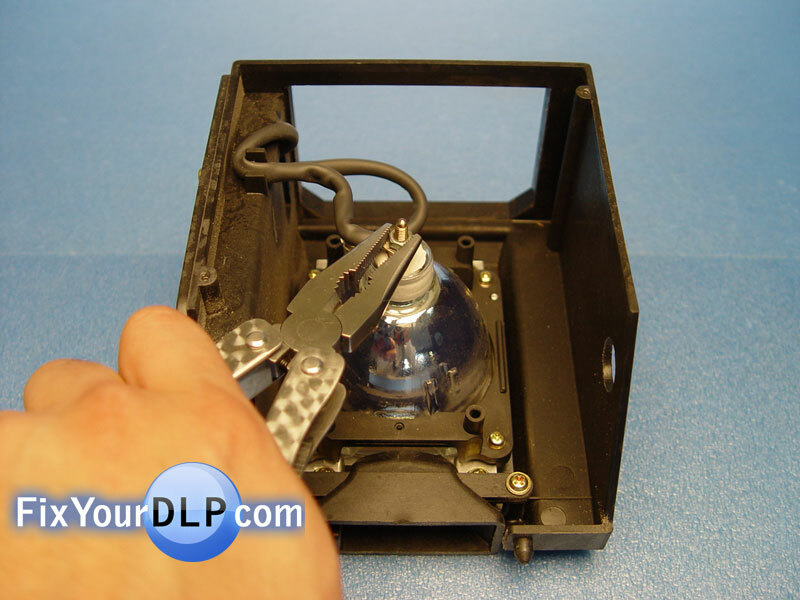 4.- Take out the screw holding the cable to the side of the lamp, using a Philips screwdriver. 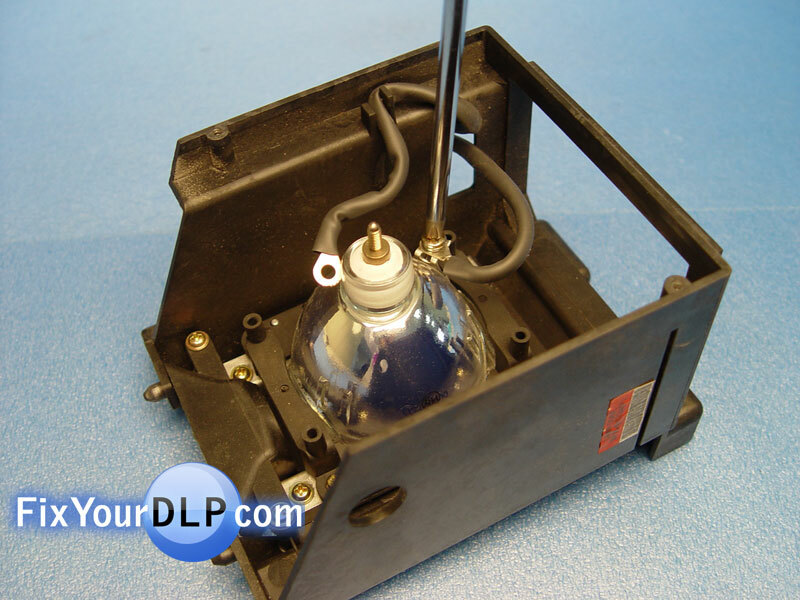 5.- At the bottom of the lamp there are four screws securing the lamp holder. 6.- Remove them using a Philips screwdriver. 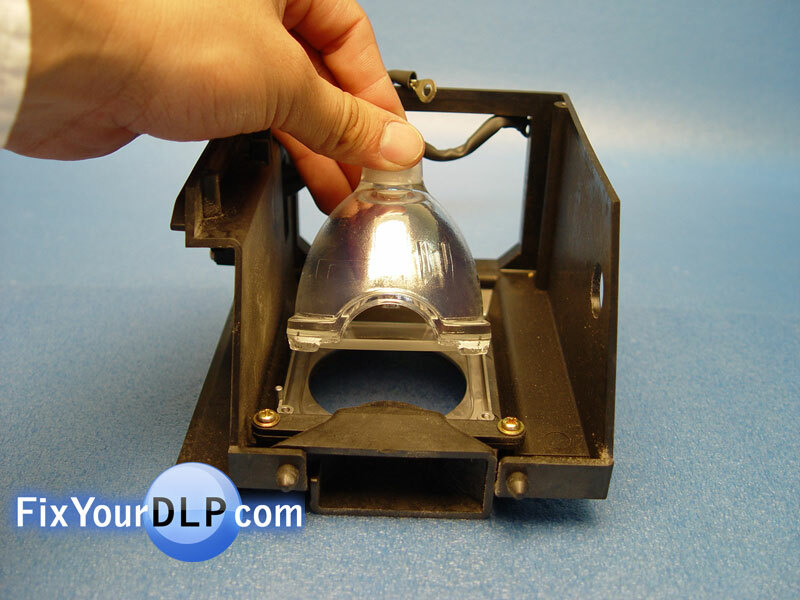 7.- Now the lamp holder is free, take it out by pulling up. 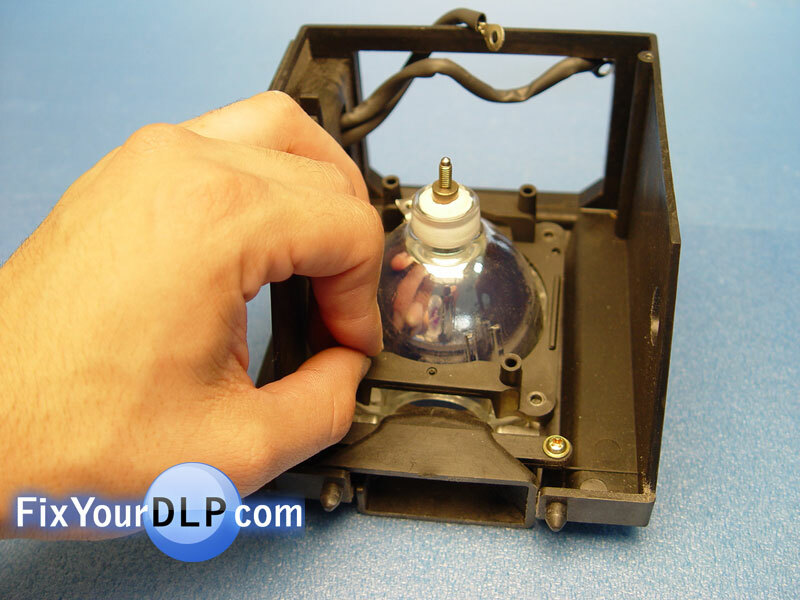 8.- Displace the old lamp from the enclosure. 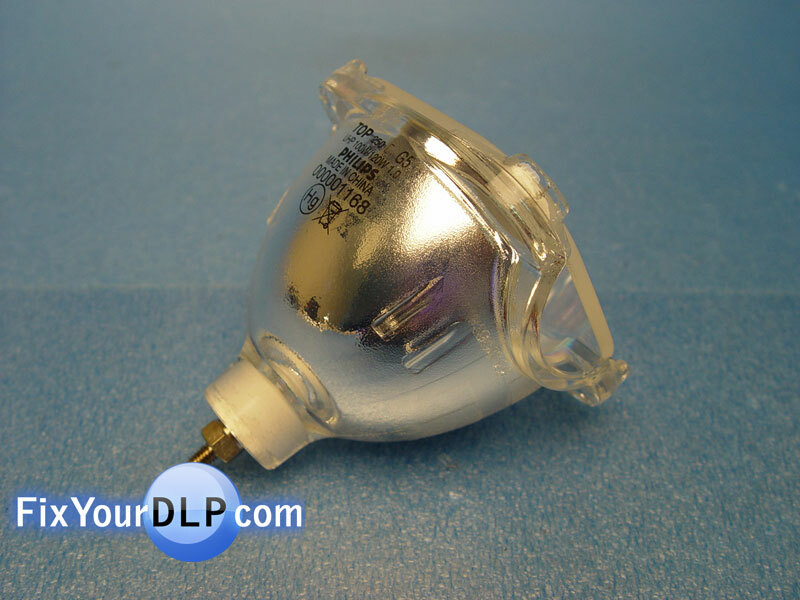 A.- Prepare your new Philips E22 UHP 100W/120W 1.0 lamp. 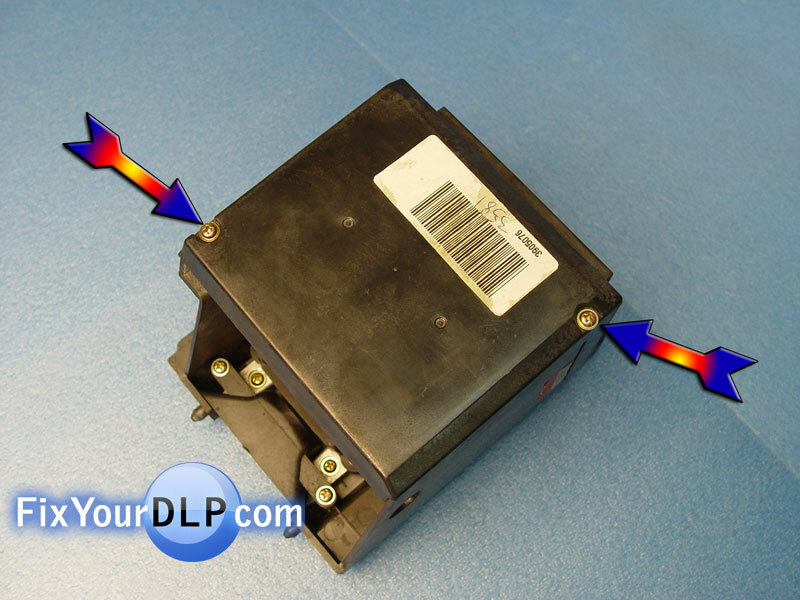 B.- Place your new Philips E22 UHP 100W/120W 1.0 lamp into the enclosure. 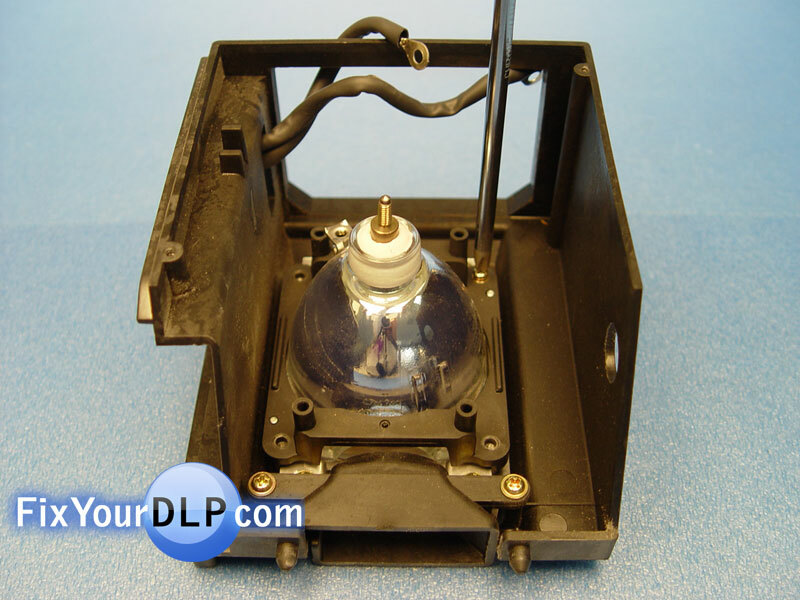 C.- Put back the lamp holder to its original position. 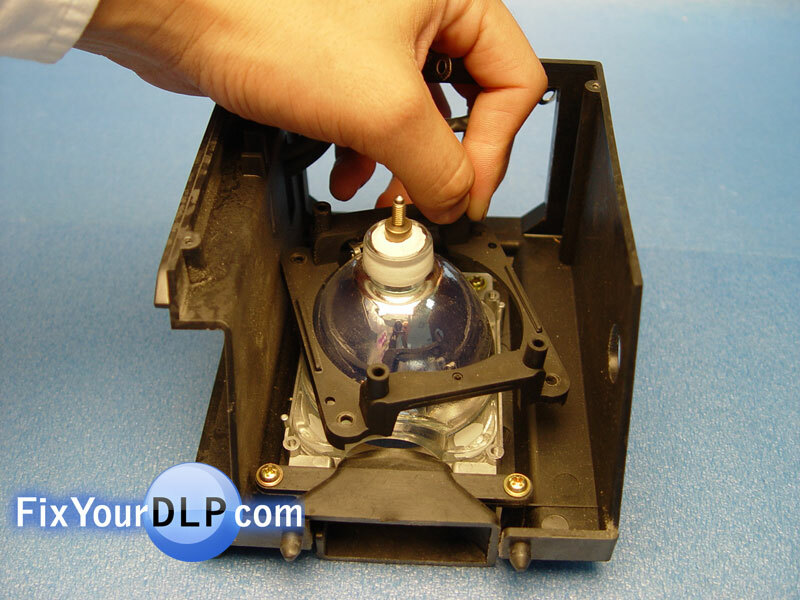 D.- Reinstall the four screws to the lamp holder. 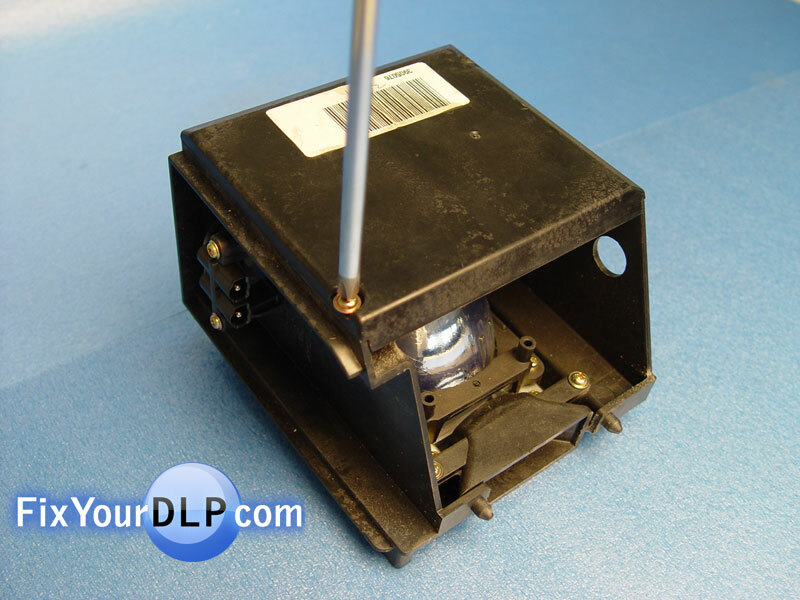 E.- Fasten the cable to the side of the lamp, using a Philips screwdriver. 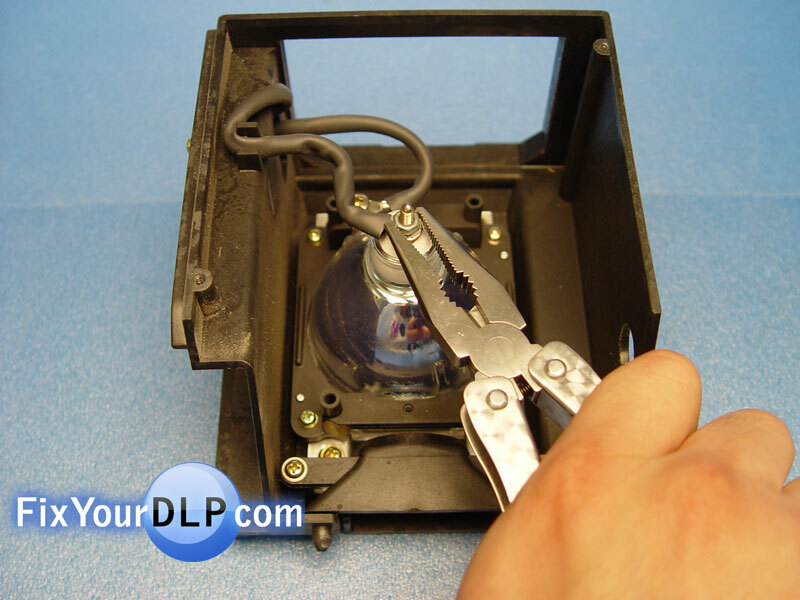 F.- Reconnect the cable to the top of the lamp, using a pair of pliers. 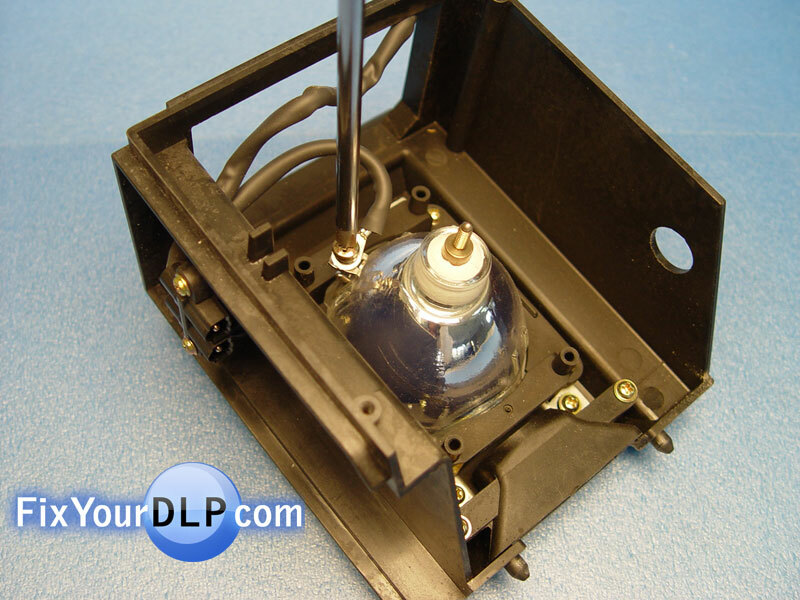 G.- Position the lamp cover to the top of the enclosure and install the two screws to hold it.